Maruti Suzuki cars price starts at Rs. 2.63 lakh for the cheapest car Alto 800 and goes up to Rs. 11.49 lakh for the top model Maruti Suzuki S-Cross. Maruti Suzuki offers 17 new car models in India. Wagon R (Rs. 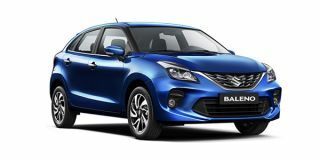 4.20 lakh), Baleno (Rs. 5.46 lakh) and Swift (Rs. 4.99 lakh) are among the popular cars from	Maruti Suzuki. 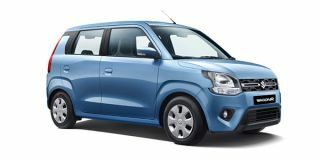 In the year 2019/2020, Maruti Suzuki is going to launch 4 new models in India. Select a Maruti Suzuki car to know the latest offers in your city, prices, variants, specifications, pictures, mileage and reviews. Q. Is it possible to set touch screen multimedia in Alto 800? Q. Is this the K10 2019 latest model? Q. Is the same radiator used for Wagon R and Alto K10? Q. Which car is better between Wagon R and Alto K10? Q. Can MARUTI ALTO K10 CNG LXI supports petrol or only CNG? Q. Is Alto k10 good for long drive? Yup no worries at all..i have driven to nanital once and jaipur twice from delhi. Honda has spent a lot of time refining the Amaze’s package. Tweaking sound insulation, space and even adding in a new automatic transmission in a bid to gain some ground on the Dzire. Will the Dzire maintain its utter dominance or is the Amaze finally… Amazing? Maruti's Micro SUV Spied, Alto Replacement Looks Ready!